Canoeing or swimming in one of the many lakes in the area. 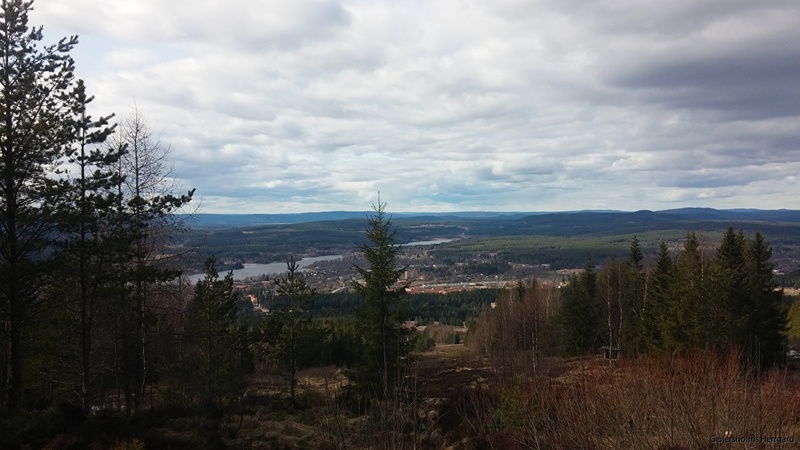 Cycling and walking alongside the river "Klarälven"
Alpine and cross-country skiing: within a 1 hour drive you can find resorts like Branäs, Säfsen, Sunne and more. Ekshärad slalom-hill with tracks under floodlights is only 20 km away. Golfers may enjoy the Uddeholms GK golfcourse (~20km). Play a round, after which you relax with us! Or have a good breakfast before you tackle the course. A few hundred meters from our B&B lies the Ämten lake, which offers plenty of caneoing and swimming options. There are a number of places to fish as well, with a fishing permit from Hagfors giving access to more than hundred separate places. Even though the mountains are still a bit further upp, there are plenty of winter activities to enjoy around here as well. Anyting from cross country skiing to hikes with husky dogs. Or why not have a skate on one of the many lakes? See Visit Hagfors och Visit Värmland for more information.